AMF Enterprises Pvt. Ltd is a transparent young company providing highly competitive, faster and professional services in the fields of trading, distribution and consultancy. We meet business challenges innovatively and pride ourselves in responding to our customers’ problems in current volatile markets. Our primary objective is to bring food products of premium value from manufacturers of superior quality commodities around the world, and bring innovation and excellence into the import market of Pakistan by providing FMCG of supreme grade to the local businesses as well as general consumers. Crispico: The delectably authentic taste of our imported snacks will tantalize your taste buds. 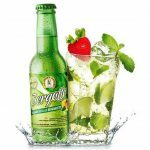 Bergotto: We have brought the most refreshing soda drinks from Italy with juice of real and organic Bergamots. 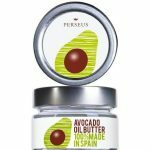 Perseus Avocado Oil & Butter: Good News for all who care for their health. The highest grade of organic Avocado Oil & Butter has been brought from Spain especially for you. 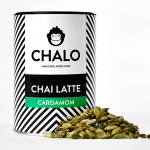 Chalo Chai Latte: This unique fusion of Chai Latte has been brought from Belgium for the Tea Lovers of Pakistan. 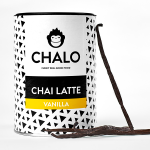 Chalo Chai Latte: The four deliciously warming flavors of Masala, Cardamom, Lemongrass, and Vanilla are here to enhance your experience of Chai Latte. AMF Enterprises Pvt. Ltd is the brainchild of Mr. Asim Mushfiq Farooqui who established this organization for bringing an ingenious and pioneering concept in the trading business. Mr. Asim Mushfiq Farooqui is the dynamic CEO of AMF Enterprises Pvt. Ltd, with 20+ years of diverse business experience. He was the founding member, sponsor and director of Dewan Mushtaq Group of Companies, now known as Yousuf Dewan Companies. We deal in all kinds of trading, especially Fast Moving Consumer Goods (FMCG) to fulfill the requirements of today’s rapidly growing market. We import and distribute Exclusive Edible items of Premium Quality from all over the world. 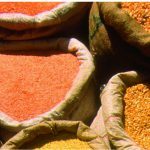 Whole Lentils Range We deal in whole range of Imported Premium Quality lentils and grains. Let us know if interested View product. 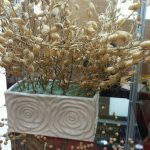 Whole Desi Chickpeas We deal in premium quality Chickpeas of the highest nutrition value. Let us know if you are View product. 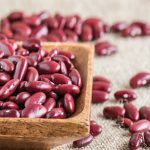 Whole Beans We deal in premium quality whole beans. Let us know if interested in buying. For any query regarding View product. 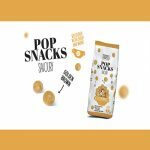 Pop Snacks Savoury These light and crispy Pop Snacks have an exquisite flavor to go perfectly with soups and salads. View product. 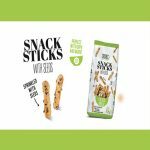 Snack Sticks with Seeds These Snack sticks are a healthy munching option with an ideal taste. The unique combination of View product. 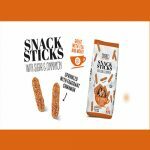 Snack Sticks with Sugar & Cinnamon These Snack Sticks of savory flavor are completely preservatives free, and made from a View product. 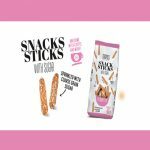 Snack Sticks with Sugar This unique taste combination of snack sticks with sugar gives a very pleasant taste. The traditional View product. 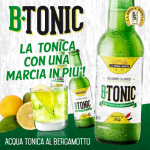 B-Tonic is the Tonic water of Bergamot and is a non-alcoholic Soda Drink from Italy. AMF Enterprises Pvt. Ltd is View product. Bergotto is a delicious artisan-made beverage from Italy to enjoy the flavor of Bergamot in its most refreshing version. This View product. 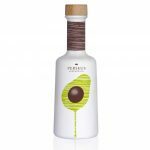 Extra Virgin Perseus Avocado Oil is obtained from the finest selection of carefully picked Spanish Avocados by hand. After the View product. This butter is made from Extra Virgin Perseus Avocado Oil and is produced through a unique formulation. It is one View product. 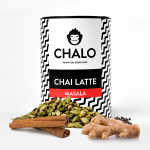 A unique blend of the most flavorful spices has been used to make the perfect concoction of Chalo’s Masala Chai View product. The flavor most liked by our Desi population is introduced by Chalo Chai Latte with a twist to provide the View product. 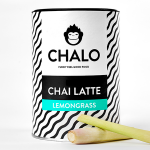 This Refreshing and Revitalizing flavor of Chalo Chai Latte will be a great choice after a Yoga Session or during View product. Our Vanilla Chai Latte is enriched with smooth and creamy flavor. Specifically a favorite among the youth, this sweet tea View product. 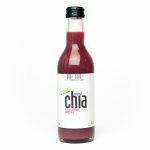 All organic Original Chia Smoothie in Black Currant flavor is made from all the best ingredients from nature. The added View product. 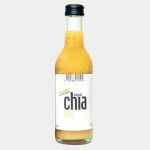 All organic Original Chia Smoothie in Orange & Mango flavor is made from all the best ingredients from nature. This View product. 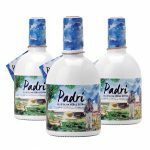 Padri is a selection of some century Arbequina trees of Camp de Tarragona. The fact that the olive trees are View product. Oli Mare is an early harvest from Arbequina and Arbosana, the olive cultivars in Spain. This Extra Virgin Olive Oil View product.